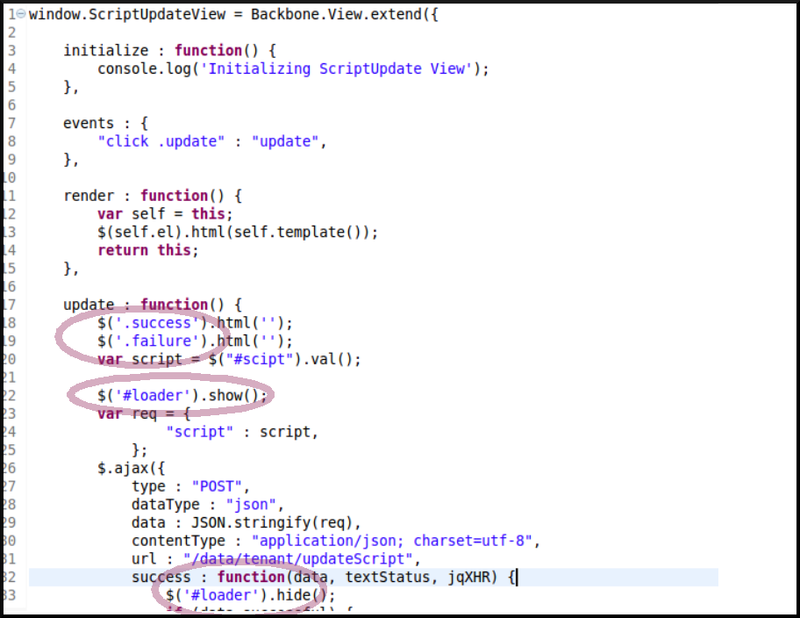 Here is screenshot from a project which was build using backbone.js, but If you start reading you can start observe bad coding style. Normally developers use jQuery based spaghetti code in their start of career and unfortunately they continue using them even when they using MVC framwork etc ! this.$el.find(".result") kind of expression ! !